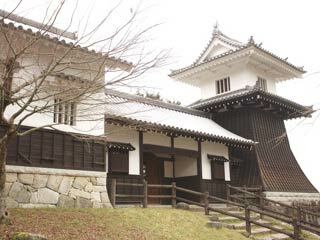 Iwamura History Museum (岩村歴史資料館) displays historical treasures of Iwamura. Iwamura was the land 30,000 goku in Edo period, and Matsudaira Noritada, the lord of Iwamura in 1702 built 3rd samurai school in Iwamura. There are many text and samurai school materials displayed in this museum, including first English-Japanese dictionary and Gokuisho, the last sword secrets of Ito Ittosai who is the founder of all Itto Ryu style. Also, swords, armors, and government order and documents are displayed. Admission: 400 yen for adult, 200 for senior. Under Junior is free. There is group discount. Those which registered as the Important historical asset of Gifu Prefecture. The construction diagram of repairing the castle. The map of Iwamura Castle. Self painting of Sato Issai. Sacred boards of Hachiman Shrine. Swords and armors of Matsudaira clan. Gokuisho, the last sword secret of Ito Ittosai, the founder of all Itto Ryu.